Want to look classy this Christmas? 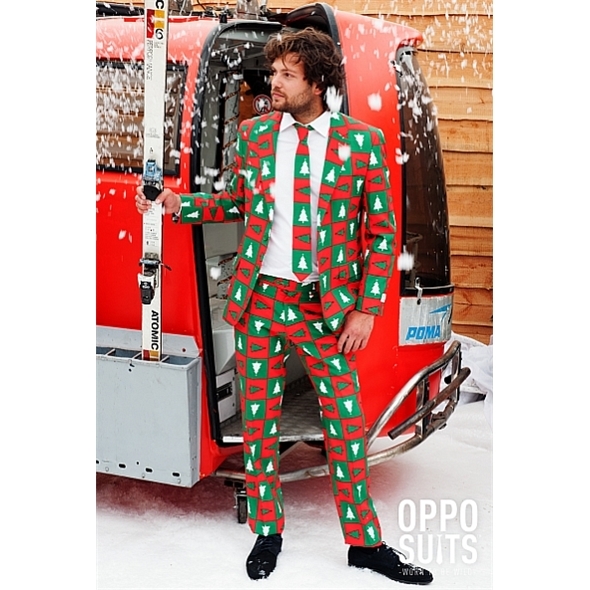 Yuletide-themed outfits don't come much more elegant than this colourful Christmas Tree Suit from our ever-inventive pals at OppoSuits. 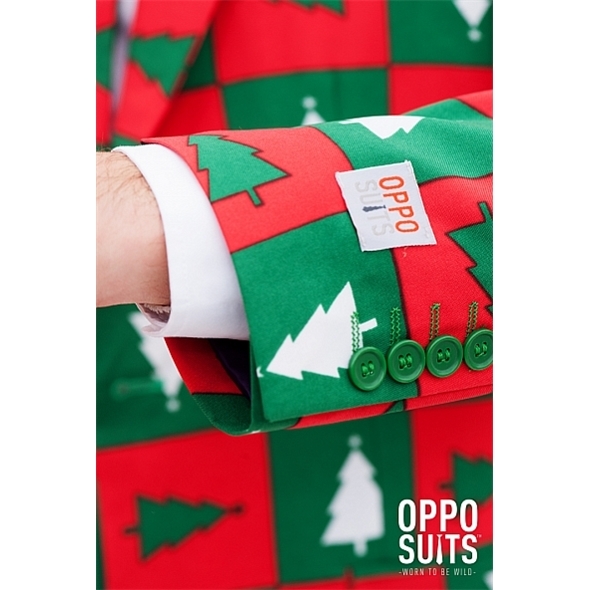 If you want to look just as eye-catching as the tree itself, this is the suit for you! 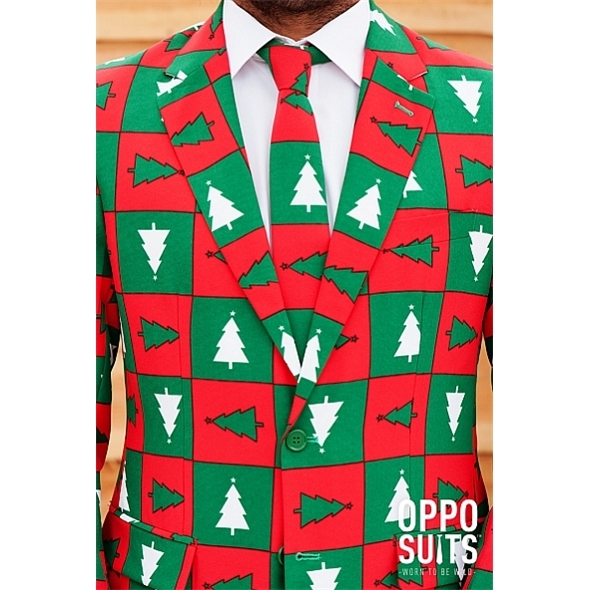 The Christmas Tree Suit consists of a jacket, a tie, and a pair of trousers, all of which are decorated with that snazzy red, green and white design. You'll feel more festive than ever before! When you think of Christmas-themed clothing, you probably picture naff knitted jumpers and those paper crowns that come with Christmas crackers and tear almost immediately. 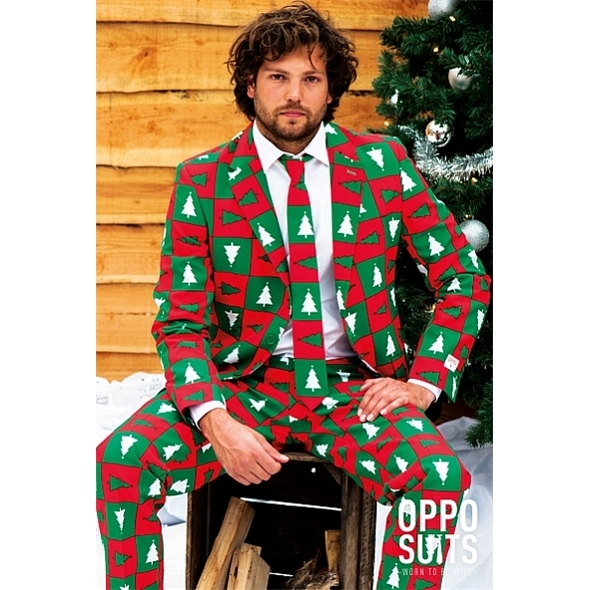 Well, we're here to change that - this Christmas Tree Suit is a significantly classier breed of Christmaswear, and you're sure to be the toast of your Christmas party when you show up wearing this. All sizes are standard UK suit sizes. Bear in mind that this is a slim-fitted suit - you may wish to go up a size to account for this.